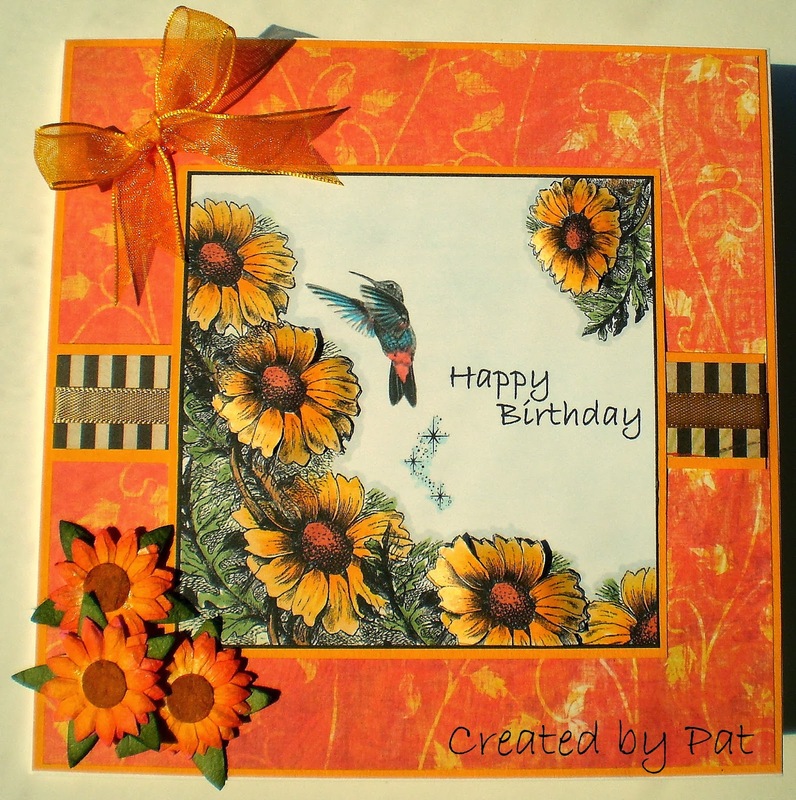 This is gorgeous Pat, I love the image and wonderful sunny colours. So gorgeous Pat, fabulous image and colours. Hope you are keeping warm and snug! Beautiful birthday card. Wonderful creation. I agree with Ciska, rich colors! Very Pretty. Very pretty digi! Beautifully done. When I originally saw this image, I wasn't sure I liked it, but now that I see it with colour it is beautiful. Wishing all the very best for the new year. Absolutely gorgeous Pat!!! I am a little behind but I managed to make it! !